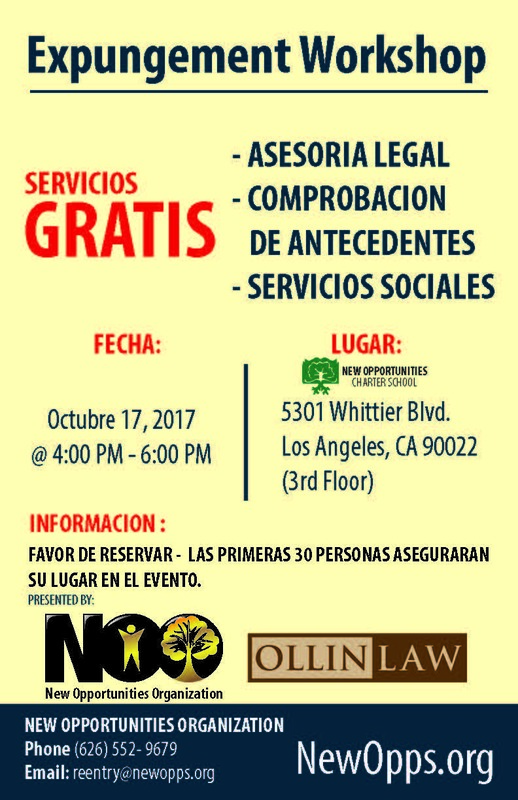 On October 17th New Opportunities East La location offered a Free expungement workshop to its students and the community. 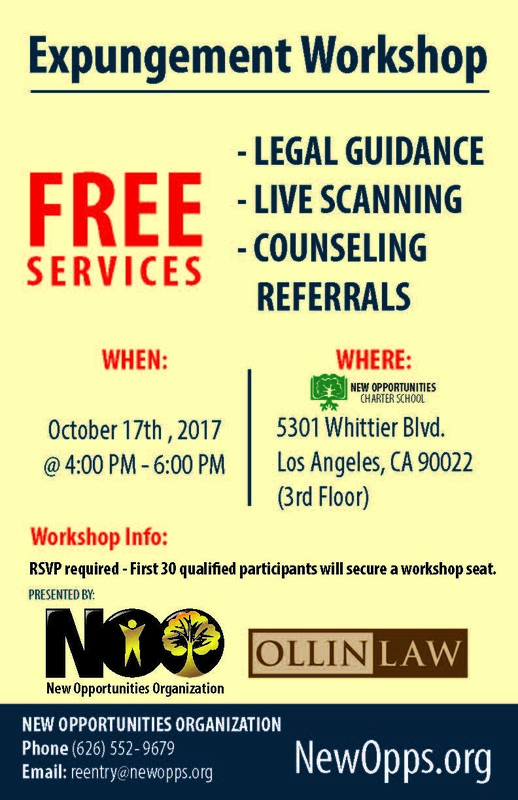 Those who were eligible came to learn about the expungement process, what it looks like and it potential impact on finding employment etc. . All 20 participants were live scanned for free and will during the next workshop complete their paperwork in a one-on -one meeting with New Opportunities partners Ollin Law . New Opportunities if honored to be able to offer this service to the community for free as it can be confusing, costly and difficulty to do on ones own.